GRINCHES, ALL OF ’EM — The Coalition for Economic Survival and Larry Gross rode to the rescue of the Cirque du Soleil performers during the holidays when the performers learned that they were losing their jobs, as well as their homes, for the new year. 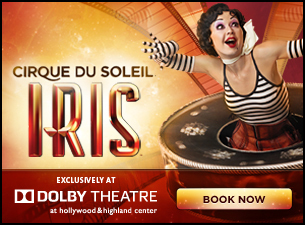 It was unexpectedly announced Dec. 18 that the Cirque du Soleil’s show “Iris” would not run in Los Angeles indefinitely, but would close on Jan. 19. The performers — many of whom were from Russia, Slovakia, Canada, Sweden and other U.S. states — had signed long-term rental leases with landlords, but in addition to facing relocation as a result of the show’s closing, the artists had to deal with landlords who would not let them out of their leases and were demanding thousands of dollars from the dancers, acrobats, contortionists and others in the show. A Cirque du Soleil management official contacted CES for assistance for his soon-to-be-jobless and displaced performers, and CES brought along Bet Tzedek Legal Services, which handled the matter.